William Hill casino is one of the respectable and largest gambling operators, providing both land and online casino services to millions of people across the globe. The company has over 2,000 dedicated shops across the United Kingdom and Ireland and their main online casino where you can play from the comfort of your home. The operator is licensed by the gambling authorities of Gibraltar, and it is audited on a regular basis for the fairness of the games. The casino has several services to offer including sports betting and casino games. It also has bonuses and promotions that are awarded to all their customers – both new and regular customers. The casino also has the William Hill casino club in which you can enroll and enjoy various offers that are not available through the regular casino services. One fact that makes William Hill outstanding from the other club casinos is the number of promotions available to its members. It has a number of promotions including the new player 1st deposit bonus, the 60% up to a maximum of £500 on your 2nd deposit, the 20% up to a maximum of £300 monthly bonus, the refer your friend promotion, the special 10-15% payment method deposit bonus and the comp points promotions. William Hill Casino club rewards all their new players with a bonus which makes it easier and fun for you to get started playing online. All you have to do to receive this bonus is click on the Instant Play or Download to register to the casino and make your firs deposit. Note, that the amount of bonus you will receive at the site depends on your level of registration at the site. For the regular William Hill club members, you are bound to receive a bonus of 150% up to a maximum of £300 + an additional 50 free spins. The Mid-Rollers will be required to make a deposit of £500 and receive £350 and an additional 50 free spins. The High Rollers will be required to deposit a minimum of £1,000 to receive a £500 bonus and 50 free spins. The VIP Club members will have to make a deposit of £3,000 to receive a bonus of £1,100 and 50 free spins. The regular William Hill club members will have to make a minimum of £10 to receive the bonus. For all the members enrolled in the club, they will have to meet the wagering requirement of ×12 before making any winnings resulting from the bonuses. 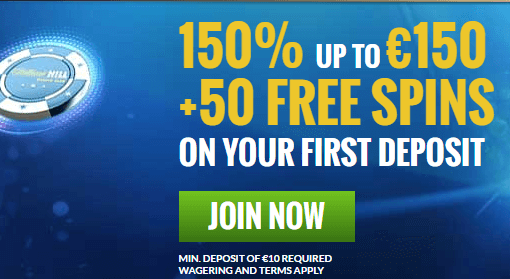 You can also become an affiliate of William Hill Club and make money by referring a friend. When your friend makes a minimum deposit of £50, your account will automatically be credited with £50 that you can use to play any casino game. 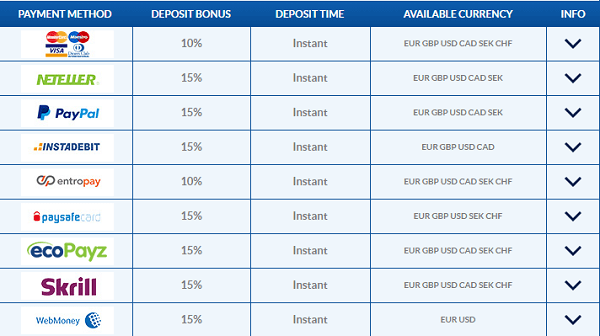 However, you will have to meet a wagering requirement of ×15 before you can withdraw the bonus. In case you don’t feel like spending money at the club, you can use the Golden Chips which allow you to try the new table games at the site. However, not all the members are eligible for this service. Those who qualify for the golden chip will have the “Golden Chip” icon appearing in their gaming folder. To find more about the qualifications of the golden chip, visit William Hill’s FAQ section or contact their customer care. William Hill casino club has its services accessible through mobile. It offers the mobile website services for android and iOS platforms. Through the William Hill Casino Club mobile app, you can access up to 25 casino games. Among these games includes Pink Panther Scratch, Vacation Station, Video Poker, Iron man 2, Fantastic Four among many other games. How do You Install the William Hill Casino Club Mobile App? Visit William Hills’ mobile casino page. Once you are done downloading, click on modify settings to allow installation of foreign APK. Install the application and start using it as soon as it’s finished. Did you know that William Hill casino club has the broadest banking options in the online casino industry? With over 50 depositing and withdrawing options, you can now access your favorite casino games with much ease. Among some of the banking options include Click2Pay, Paysafecard, Ukash, PayPal, Skrill, Neteller, Master Cards, Visa Cards, and Bank Transfers. These are the widely used depositing and withdrawing options at the site. However, there are other options that allow non-UK residents to play at the site. For instance, Sofortüberweisun, Przlewy24, Trustly and Neosurf are some of the common examples. To see the full list of the banking options at the site, visit williamhillclub.com and look out for the list on the right-hand side of the screen. Note, that you are entitled to a deposit bonus of 10-15% depending on your depositing method. Also, all the transactions that you shall carry out at the site are normally processed through secure connections with third parties having no access to your sensitive information. The layout and design of the bookmakers’ homepage are modern and pleasing to the eye. It is also easy to navigate thanks to the easy layout, which has all the important tabs positioned at the correct places. The website is accessible through flash play or the download method. If you are using a Linux or Mac computer, it would be easier for you to use the instant play option as the software is usually designed for Windows computer users. You can use your William Hill Casino Club mobile app downloaded from the website or your PC/Laptop to access the online bookmakers’ services.